Do you run multiple Mikrotik Routerboards that you are using for AP's, bridges, or routers? Wouldn't you like to know that in case of a catastrophic event you had a good backup of your Mikrotik Routerboard's configuration(s)? No external software frameworks needed (.net, silverlight, java, etc.). 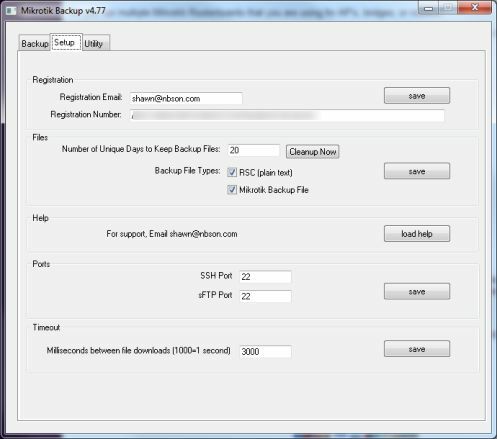 If you already have a registered copy of MTBackup, you can download the newest version anytime. 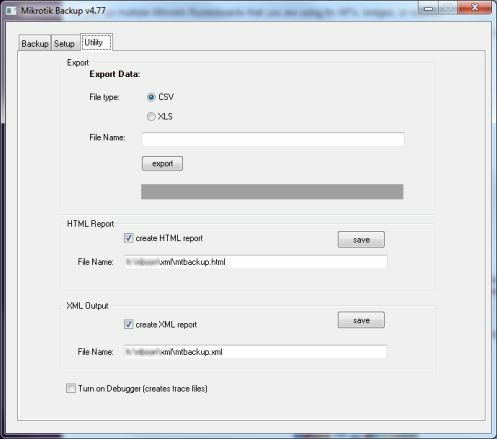 The download is an unregistered copy of MTBackup. It is fully functional except it will only download the settings of up to 5 Routerboards. Upon payment I will email you your registration key. 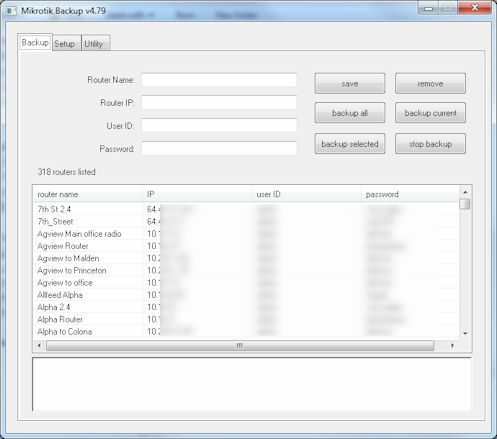 The registration key will allow unlimited routers. Registration is a manual process so if you order during non-office hours it will not be processed until the next business day. Normally you will recieve your key within 1 hour of ordering.